How do you add a new wire to the blank (battery) spot on the fuse box under the dash. 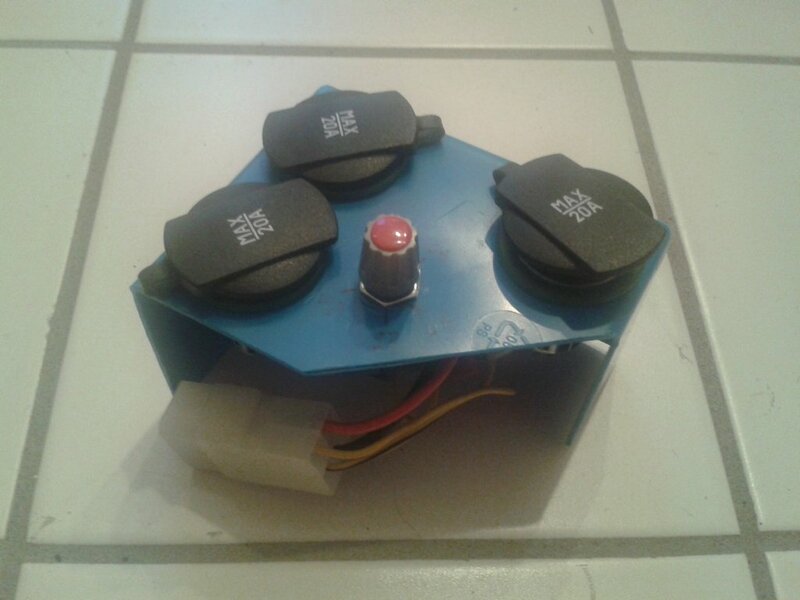 I want to add a new 12 volt outlet to the rear area and supply power to a roof mounted exhaust fan. 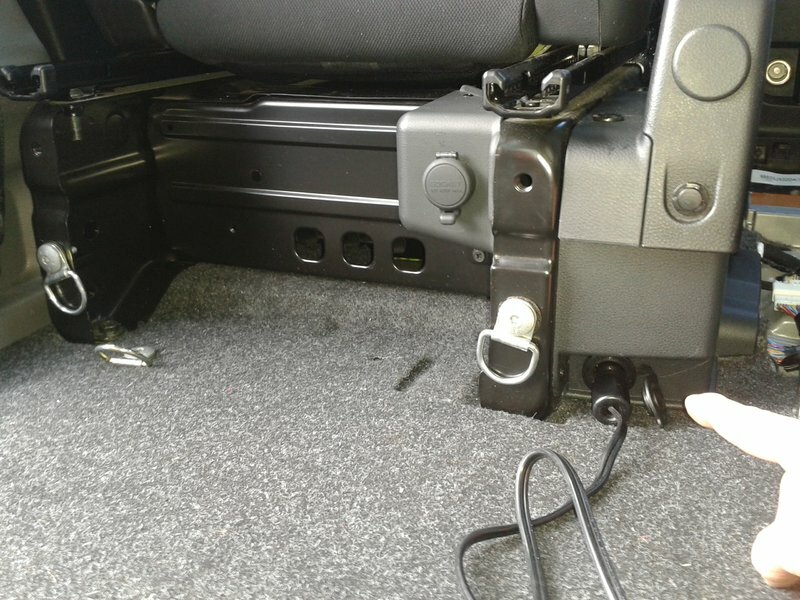 To add a power socket to the rear you could take a wire off the live wire on the back of the existing power socket. As long as the extension wire is not excessively long and the cable is no smaller in section than the wire feeding the front power socket it should be ok. However it should be noted that the total load applied to either or both sockets should not exceed 12V 120W (10A) as specified in the vehicle hand book. For heavy loads a new separate fused circuit should be taken directly off the battery or a suitable live terminal. Care should always be taken with wiring to ensure live connections are fully insulated to prevent short circuits and wiring must be carefully routed to prevent damage to insulation. Additional circuits to say a roof fan should be fused and a relay used if required. The wire going to the existing front power outlet is to small to add the fan and extra power outlet in the rear. The fuse panel under the drivers side dash has an empty blank fuse slot powered by the battery not the ignition. I just don't see where to attach the "load side wire" to run to the fan and outlet. The back side of the fuse panel is covered with plastic modules with no terminal or screw showing to attach a wire to the spot labeled blank fuse. This would be the ideal way for me to supply power if I could just figure out how to attach the wire to the fuse box. Hi, this topic is a bit long ago, but perhaps still interesting. Current from the fuse box to Hollen in my opinion is not a good idea. The NV200 in Europe execution after about 20 minutes, the entire circuit is interrupted by switching off the engine. It is better to pick up directly from the battery power, right behind it with eg Hedge 50 Amper and the power cord set into the car, then to the wall outlet, for example, again with 20 amperes or less Securing. Cable cross-section I advise you to take 6mm2 else comes back in the car hardly current. When I wired up an electric outlet I went from the starter wire connection to an automotive inline fuse, to the outlet. The 2nd wire of the outlet needs to go to the chassis or frame. I used a 15 amp fuse, as the outlet can become the most easily accessable place to hook up a battery charger. In daily life we are more often liked for our defects than for our qualities. Last edited by Ydnell; 09-27-2018 at 10:50 PM.